Do you have windows with failed seals or broken glass? SR Windows & Glass of Paradise Valley is a full-service window repair and glass replacement company providing house and commercial repair, replacement and installation services to the greater Paradise Valley, AZ area. We specialize in dual pane glass replacement for luxury homes in the Camelback Corridor and have installed custom glass shower enclosures for many of the remodeled homes in the area. Damaged windows and glass doors should be immediately repaired as they could easily lead to security or safety issues. Call us today to learn more about our window and glass services and to schedule a free measure and price quote for your repair, replacement or installation project. We only focus on windows and glass so we have become experts at solving issues for both residential and commercial windows and glass doors. Contact SR Windows & Glass of Paradise Valley, AZ for a free quote and to schedule a professional glazier to review your window replacement or window repair needs. We specialize in view windows and luxury glass shower enclosures that accentuate the beautiful views of Camelback Mountain. For every product and service SR Windows & Glass of Paradise Valley provides, you’ll receive a written warranty. Window and glass door repairs are done by professionals ensure you get value for your money. Ensure you hire a professional who’ll carefully handle new glass panes, so you don’t end up incurring more repair expenses. With both single pane and dual pane windows, it is recommended that damages be repaired as soon as possible. Dual pane damage can result in condensation issues that is basically fogging between the two window panes. Windows can be divided into sections with several pane window glasses, or it could be one glass pane fitted on a window frame. In whichever case, damages should be taken care of as soon as possible. If you are looking to install tempered glass on your windows, consider hiring a professional glazier who knows how to install glass on windows. Annealed glass can be used on both residential and commercial properties. Ensure you hire a professional to install glass windows for your home for them to last you a long time. 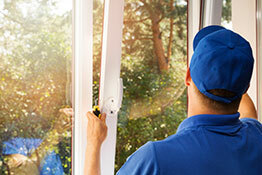 Even with expert services when installing new windows, you are bound to require window repair services at some point. Ensure you contract a professional repair company for excellent services. When it comes to glass repair, you need a professional glazier who’ll handle the new glass panes with care so that you don’t incur more expenses during the re-glaze. Even though windows look like one complete unit, many separate hardware parts make them functional units. All hardware parts need to function properly for your window to easily close and open. Your window balance is one of the window hardware parts that contribute to the proper functioning of windows. Ensure you have your window balance replaced in case it’s problematic. Sash locks are locking systems installed in windows to ensure people cannot unlock it from outside. Sash locks ensure residential and commercial properties are safe from anyone thinking of trespassing. For sliding windows, window rollers ensure you can easily open and close your window without it getting stuck. 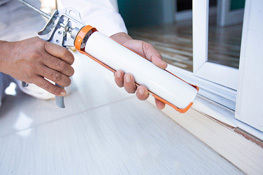 Window roller replacement is necessary for worn out rollers. Sliding doors are mostly used for commercial buildings to achieve a professional look. Regular maintenance of sliding doors saves you from expensive repair including Arcadia door roller replacement and changing out the door glass when a seal fails or there is breakage. Because glass doors provide security and are large openings, they need to be fixed very quickly. That is why SR Windows & Glass of Paradise Valley keeps glass in stock for the most common sizes of sliding glass doors and glass patio doors. If we have a dual pane or single pane glass door in stock, we can install it the same day we visit your home or retail store (in the case of a broken storefront door). In the unfortunate event that your house gets vandalized, you might need to replace the whole window. SR Windows & Glass of Paradise Valley has several different frame types available for retrofitting your older windows and upgrade from single pane glass to dual pane window glass. We offer PVC, vinyl, aluminum and wood clad windows. All of our windows include dual pane window glass with low-e glass that helps you save money on utility bills. Bug screens use magnetic screening technology to ensure your commercial building is secure. If you are looking for the most energy efficient frame type, consider installing PVC windows as they are quite cost-effective and will meet Energy Star standards for green building. Aluminum is a durable material used to make windows with a long shelf life and continue to be popular despite the higher cost and less energy efficient. Paradise Valley, Arizona is a prosperous town located in Mariposa County. It holds the reputation of being the most affluent municipality in the state of Arizona. The zip codes for PV, AZ are the most affluent in Arizona, and also the most beautiful. The town is truly a magnificent oasis with the backdrop of the stunning desert. Historians believe that Paradise Valley gets its name from the pretty picture it makes with its Palo Verde trees and spring wildflowers. Primarily an agricultural area, after the end of the Second World War, PV began to see settlements in one to five-acre plots. The Paradise Valley economy is dependent on the town’s hospitality and tourism industry. It has numerous full-service resorts that offer guests relaxation in the lap of luxury. It is not surprising that the town’s hotels and resorts are the primary source of employment for residents. There is a lot for visitors to PV, AZ to discover and enjoy in Paradise Valley. If you are an avid hiker the Mojave trail and Cholla trailhead await you. You can decide to spend a day playing golf or take advantage of the many facilities offered at the country club. Do take the time to visit microbreweries and restaurants in Paradise Valley. PV residents have given the town an interesting motto, “there is a reason we call this valley ‘paradise'”. 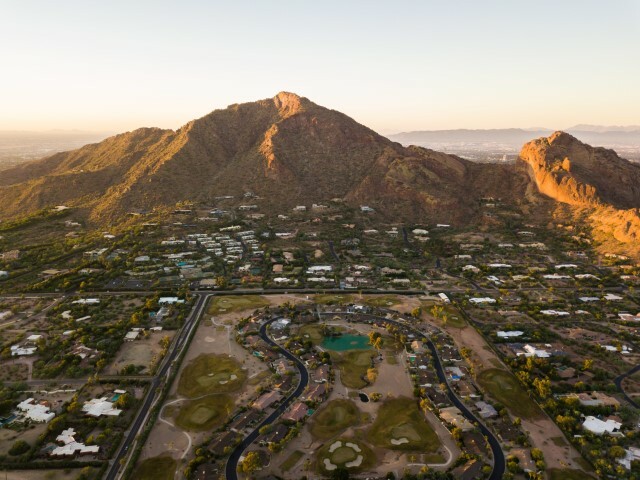 When you visit Paradise Valley, Arizona, you are likely to discover that there are actually numerous reasons why the name is perfect for the town. Call SR Windows & Glass of Paradise Valley for all your window and glass repair needs. Looking to upgrade your windows? Talk to one of our energy efficiency experts and determine whether full window replacement or glass replacement is a better option. We provide free window repair estimates in the greater Paradise Valley area.